This calculator allows you you to estimate your fuel cost based on your mix of city/highway driving, MPG of your vehicle, and your driving style. 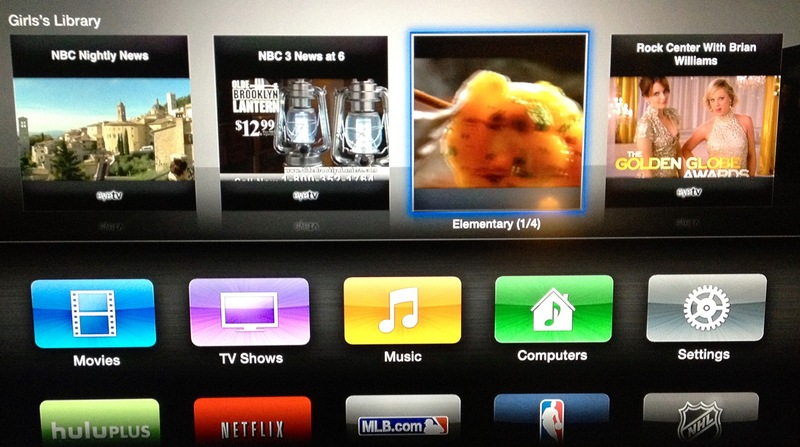 Use the sliders to adjust the values. Your fuel cost estimate is recalculated automatically and show at the bottom. 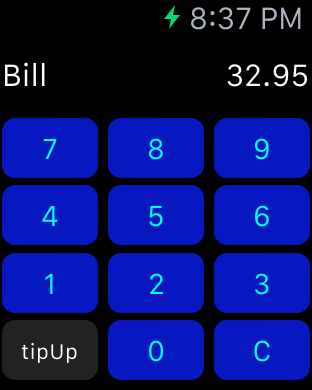 If you need finer control of the Price Per Gallon or Miles Per Month then simply touch on the value shown and a dialog will pop-up allowing you to enter an exact value. 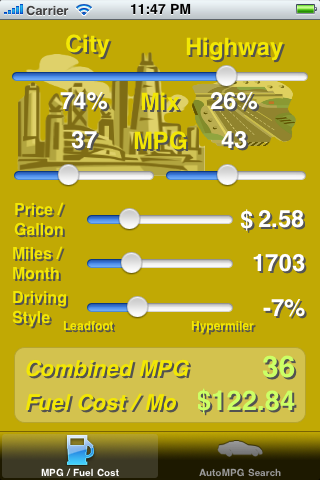 Touch the AutoMPG Search tab to search the EPA’s Fuel Economy tables for cars that match the MPG criteria you enter. In all searches, your mixture of city/highway driving defined on the MPG / Fuel Cost tab will be used to match the estimated Combined MPG Target that you specify in in the Search Parameters. If the Use Driving Style switch is turned on, then the search will match those vehicles that match your combined MPG target after applying the driving style percentage adjustment shown. 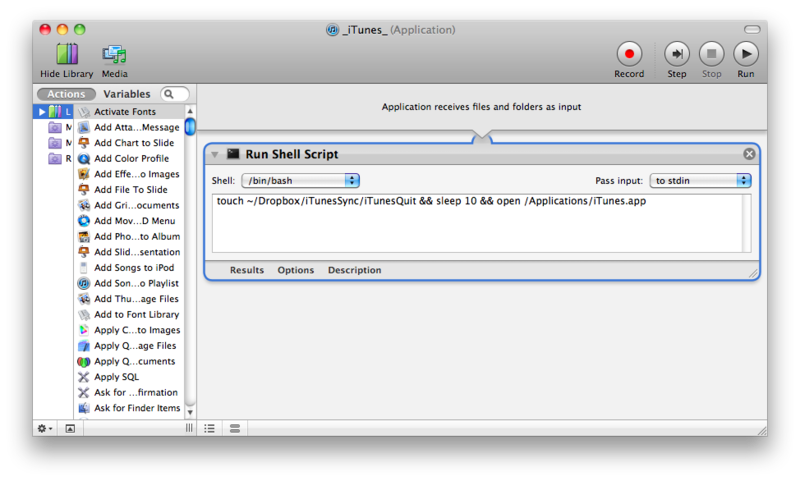 Access to the model years 2000 to 2007 is included with your purchase of the application. 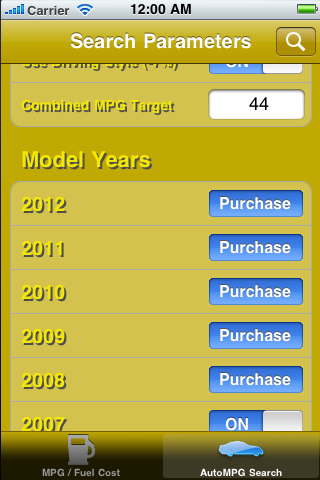 The access to model years 2008 to present are available as in-app purchase options. 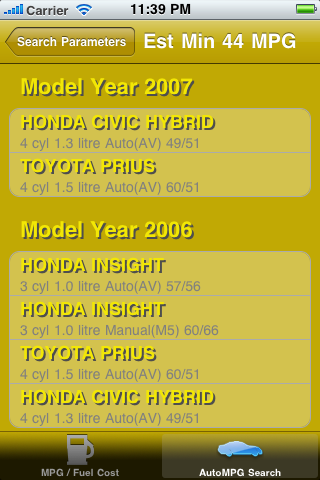 One option is the model years 2008-10, the other is model year 2011. 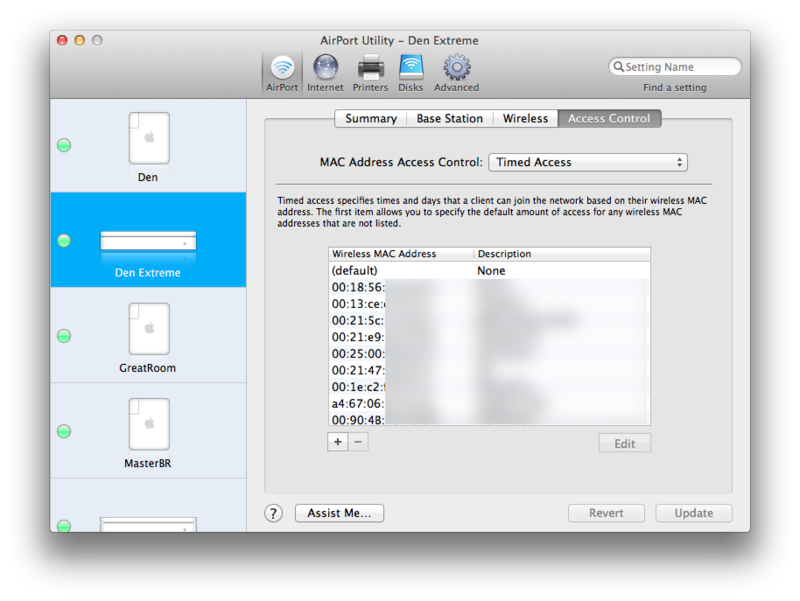 As a bonus, access to the preliminary 2012 model year data is included with the purchase of the 2011 option.